Central English > CACD > CACD – THE BRICS is/are a problem???? This article is designed to clarify the use of the acronym BRICS, for my students/candidates of the CESPE English section of the CACD 2017 Phase 2 entrance examination. 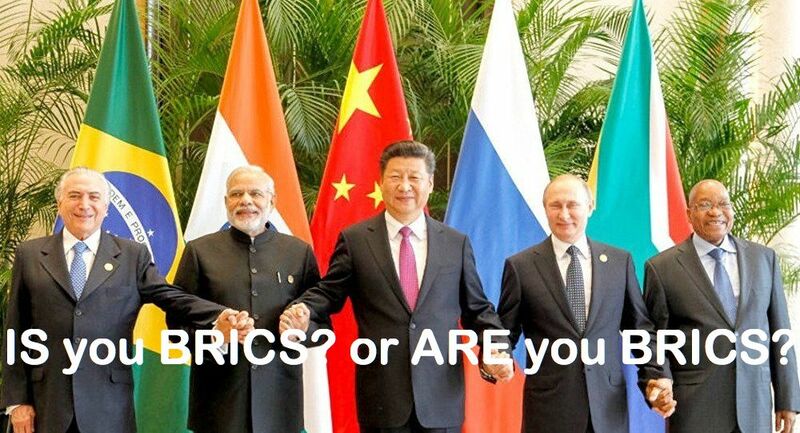 ‘BRICS’ is an acronym and not considered a plural noun. The correct form is of a singular noun and so the conjugation of the verb must be in the third person singular form. What is strong that normally this grammar point would not even be considered as it is such a simple item that needs no explanations but as so many CACD candidates have been penalised unnecessarily by CESPE english examiners this now has to be addressed. The third person singular form of the verb used (in English and other languages) is used with singular nouns and with the pronouns he, she, it and one (or their equivalents in other languages). There is no direct reference in literature that I can find that can be quoted about the conjugation of the verb after the acronym BRICS. However, it is of course considered as common usage to do so in the third person singular and can be found in writing in newspapers and over the internet. Let us go on and make sure this singular form or an acronym is still correct. 2. What is an Acronym? The Oxford English Dictionary (OED) records the first printed use of the word initialism as occurring in 1899. This word first came into general use after 1965, well after the word acronym had become common. An acronym is a pronounceable word formed from the first letter or first few letters of each word in a phrase or title. Sometimes the newly-combined letters create a new word that takes the place in everyday language. Using this shortened form of a word or phrase can speed up communication. Here is a list of common acronyms, listed by category. These acronyms are very widely used, making them some of the most popular to appear in the English language. 3. Can an Acronym, such as BRICS, be considered plural? There is no reference in English dictionaries regarding acronyms as a plural form. The 3 dictionaries entries below clearly refer to acronyms as ‘a’ (singular) word. 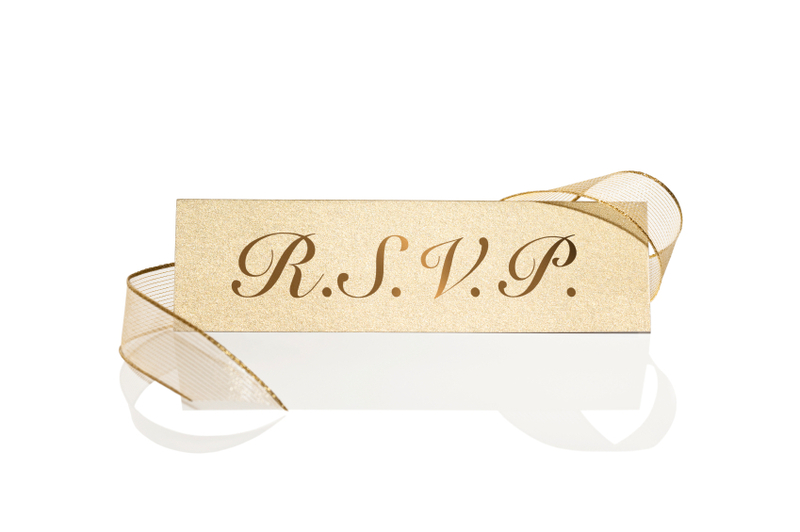 Acronym… an abbreviation consisting of letters that form a word. AIDS is an acronym for ‘Acquired Immune Deficiency Syndrome’. 4. How pluralise an acronym? The very first statement below logically confirms that acronyms are naturally singular nouns and there must be a modification in order to represent a plural form. There is a question about how to pluralize acronyms. Often a writer will add an ‘s’ following an apostrophe, as in “PC’s”. However, Kate Turabian, writing about style in academic writings,allows for an apostrophe to form plural acronyms “only when an abbreviation contains internal periods or both capital and lowercase letters”. Turabian would therefore prefer “DVDs” and “URLs” and “Ph.D.’s”. The Modern Language Association and American Psychological Association prohibit apostrophes from being used to pluralize acronyms regardless of periods (so “compact discs” would be “CDs” or “C.D.s”), whereas the New York Times style guide requires an apostrophe when pluralizing all abbreviations regardless of periods (preferring “PC’s, TV’s and VCR’s”). Many commentators are of the opinion that this grouping of five large and populous emerging nations has the potential to influence the international system, as regards for instance the reform of the International Monetary Fund and the implementation of the Paris Convention. Others, however, point out that Brazil, Russia, India, China and South Africa have their own separate diplomatic agendas, and that their differences will always make it impossible for the group to become a real force in world affairs. Nevertheless, the impact of the Trump presidency and the weakening of the post-Brexit European Union may open new perspectives for the BRICS. In the light of the different opinions presented above, discuss if the BRICS can contribute to create a new world order. In the CESPE exam question, there are no apostrophe or ‘s’ in its smaller form unless the questions would state BRICS’s or BRICs therefore the word BRICS cannot be confused with a plural form. It is not only common usage but logical, from the above information, that acronyms are treated as singular nouns. As such, the verb must be conjugated to agree with the singular noun form. Those CACD candidates who have correctly conjugated the verb after the acronym BRICS should have done so in the third person singular form as shown at the start of this article. My advice to the CESPE examiner is if they are in any doubt or can confirm the acronym BRICS can also be used in the plural form then they accept the only two possible forms of the verb. It is not wrong to admit a mistake, it is what defines us as human. I thank you for this article. I think we should also consider that the term “BRICS” can be used in two meanings: one that refers to the institutional mechanism and the other that refers to the five countries together. In Portuguese, there is a difference when it comes to using it as singular or plural forms. As stated in Itamaraty’s “Manual de Redação Oficial e Diplomática” (https://goo.gl/zxP2UB): “Quando se refere ao grupo, usa-se no singular: ‘o BRICS’. Quando se refere aos países membros, usa-se o plural (‘os BRICS’)”. I do not intend to say that the examiners were right (I have not seen the “espelhos de prova”, but I could bet they were not), but I would just like to bring this up to discussion. Could we say that it would also happen in English? I mean, “the BRICS is a group that coordinate positions in international affairs (= the mechanism/acronym BRICS = SINGULAR FORM)” and “the BRICS account for 30% of the world GDP (= the BRICS countries or the 5 countries which constitute the BRICS = PLURAL FORM)”. He Marilene. Thank you for your comments. I do not think we can do the same in English. It is quite clear that an acronym must be considered as a singular noun. Of course the Itamaraty manual may say this for Portuguese and candidates will be able to use this as a guide in the Portuguese section of the CACD. I do know the Portuguese examiners from the Itamaraty who mark the test and they are of the highest level. If the Itamaraty stated this in English, for the arguments I have stated here, they would be wrong, as someone who contributes and teachers ‘English for Diplomacy’ at Rio Branco, I would not even suggest that both terms could be used. My opinion is CESPE has made a massive mistake and should, at least, accept both answers. Unfortunately, it does not want to admit its mistake. I think some people will be arguing this through the court system so let’s see what happens as this subject has still more to come. Muito interessante o artigo; contudo, tive descontados 5 pontos da prova de ingles por ter feito uso do verbo na terceira pessoa do singular com o acronimo BRICS. Thanks for the response Fernando. Sorry to hear you were penalised so badly. The examiner is wrong.